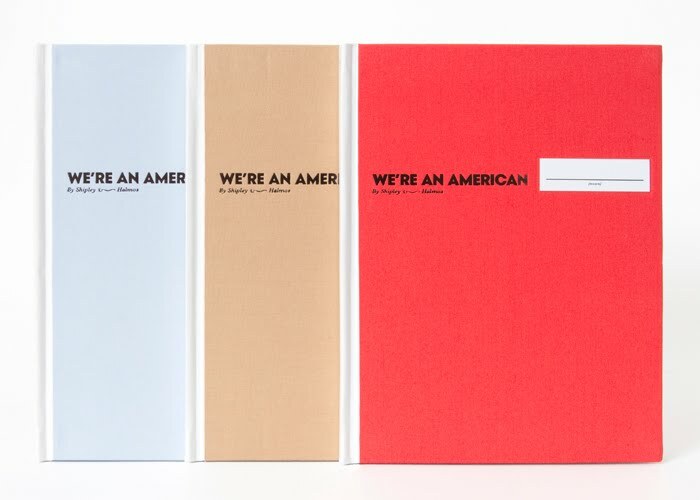 "We're An American ______" | Fleur d'Elise: "We're An American ______"
It's finally out! Shipley & Halmos have published their first book, a collection of photos titled "We're An American _________." It comes in three gorgeous colors and is currently only available through their website, www.shipley-halmos.comt. I thought it was going to be more about street style, but I think the subject they have focused on is great. They've taken some wonderful portraits of people from around the country and I can't wait to read everyone's mad-lib-style descriptions of themselves. How cool is that? How long has this been in the works? It's more about "facial expression" isn't it. I LOVE this!! These books look so interesting and I LOVE the colors :D grat post!! ps: I have taken too long to get here as well!